The Famous "Beer Can Hill" invites you to enjoy great times. One of the best places to enjoy some fun in the sun. 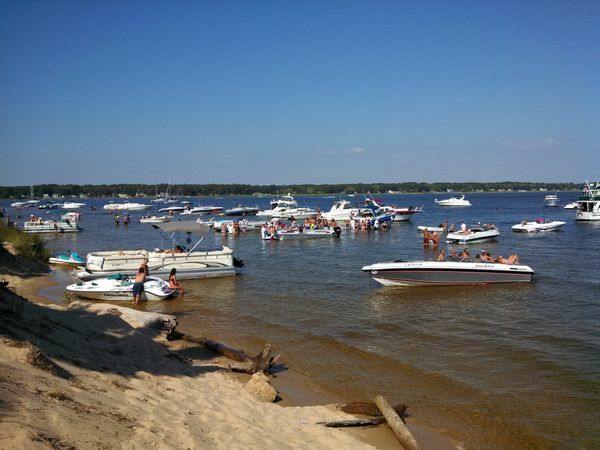 Come "Dock at the Dunes". 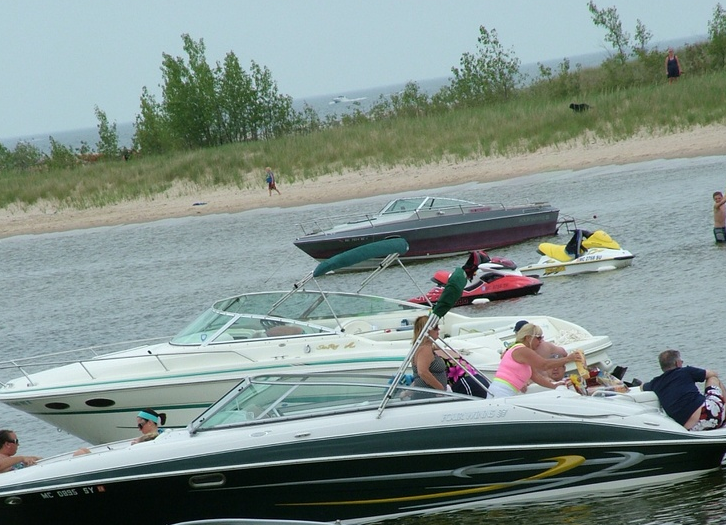 Some call it "Docking at the Dunes", others prefer "Beer Can Hill". But whatever you call this special spot you will find people enjoying some water fun. With 30 yards of knee deep water leading to a 20 foot drop off, big boats and small can join the fun. Do your prefer north or south? 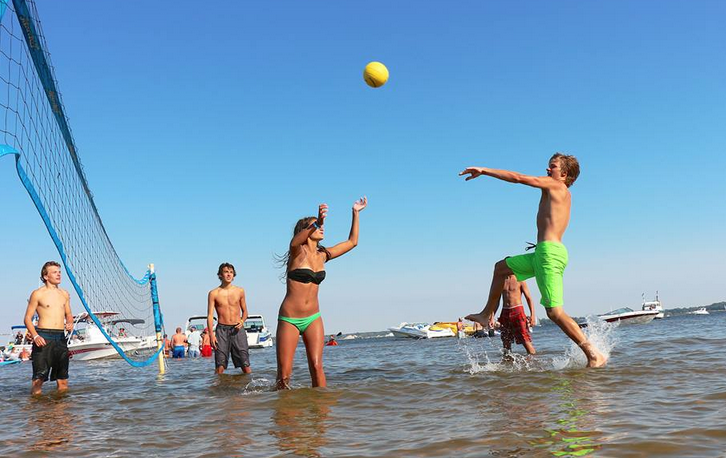 No matter what, you will find a great time of fun in the sun with family and friends. 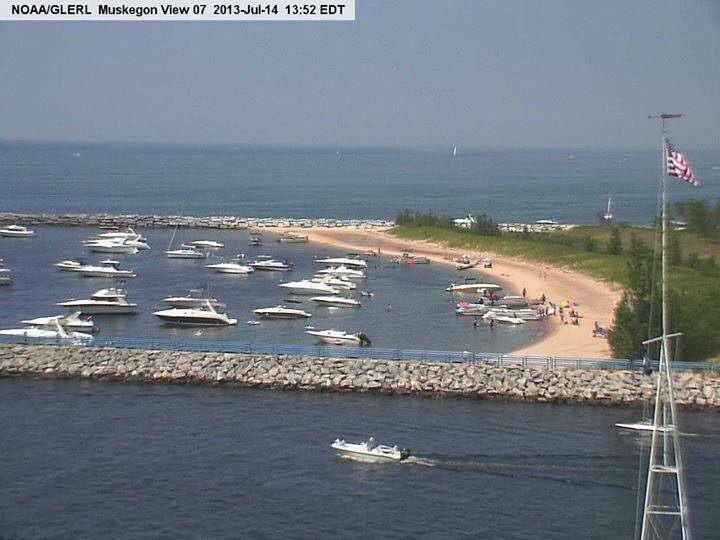 Head out the channel from one of the marina's or launches and inside the breakwater you will find the coves. 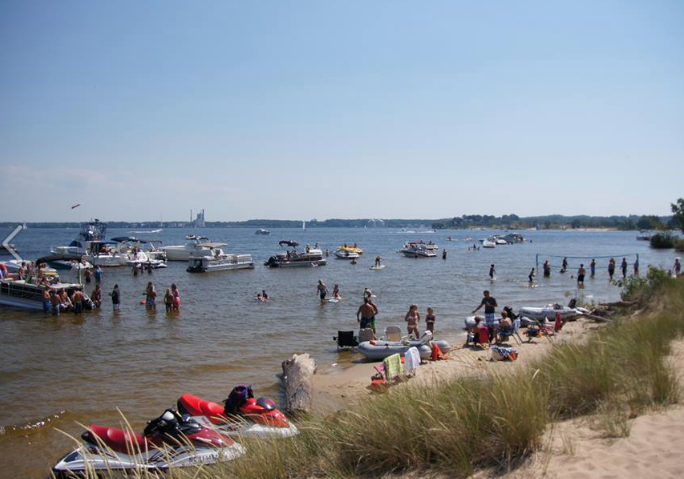 Head outside the Pier-head and turn left or right and you will see miles of sand covered places to dock with friends and family. Come and enjoy the Lake Effect. 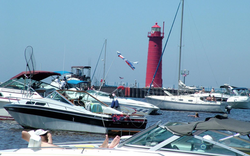 Muskegon South Pier Area for Packin the Pier Held every July 4.